BEAUTIFUL HOME YOU MUST SEE!!! 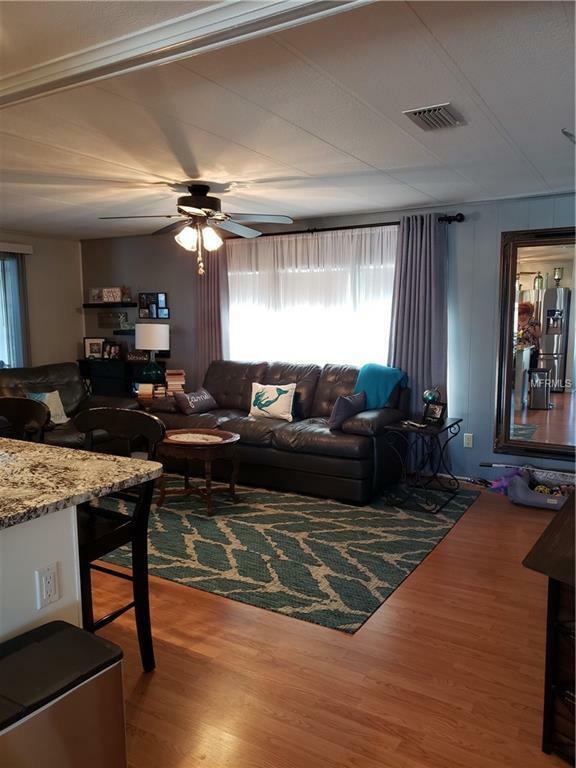 Spacious open floor plan with 2 bedrooms/2 baths. 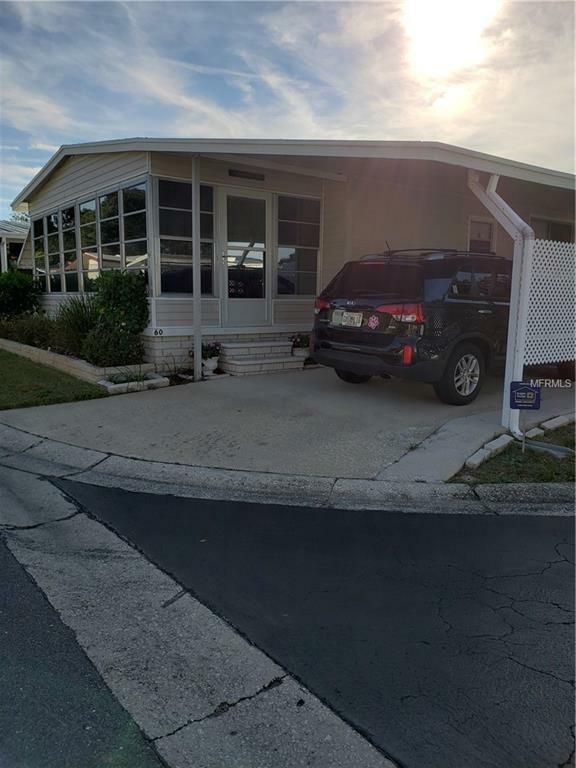 Located in a safe friendly 55+ resident owned park. Corner lot conveniently located across from the Clubhouse, mail boxes and pool with a peek-a-boo view of the lake. 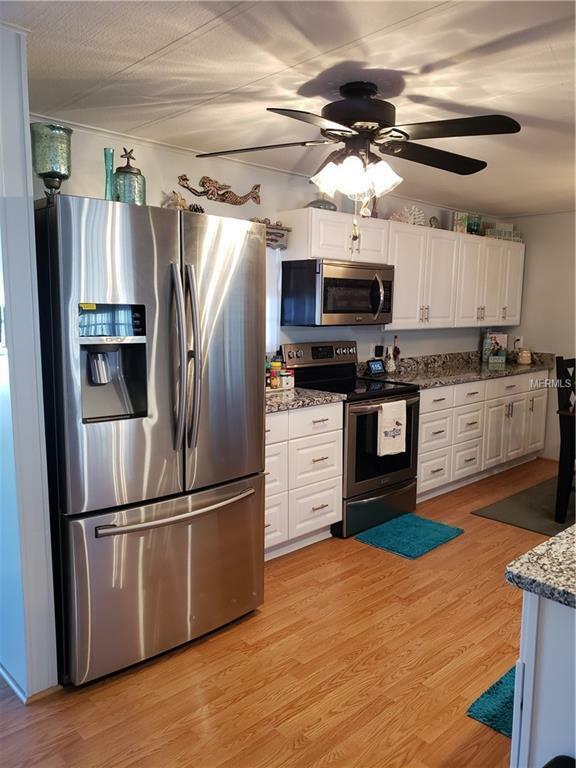 Completely remodeled kitchen hosting new cabinetry, stainless steel appliances, granite counter tops and bright recessed lights over the island. Both bathrooms have been updated with new vanities, sinks and mirrors. All interior doors have handy lever handles. Inside laundry with new washer and dryer. All new ceiling fans, 4 year old central heat and air with ceiling vents not floor. Working lawn sprinkler system, 2 vehicle carport with attached utility room approx. 10 X 6. Transferable termite protection. Privacy film on sliders and Fl room windows. Smoke detectors. 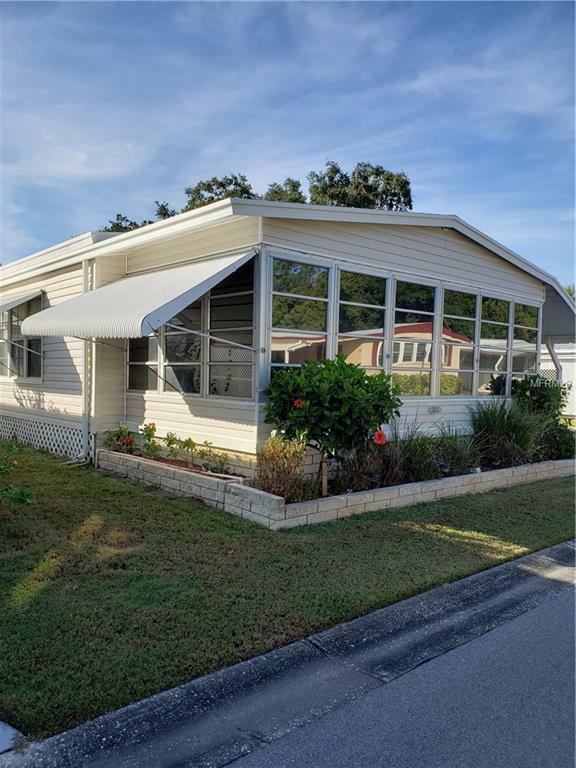 Lake Rich mobile home park is conveniently located near Tyrone Square Mall, Bay Pines Walmart, St Petersburg General hospital, Publix, Target, CVS, Walgreens and of course our beautiful Gulf beaches and too many restaurants to mention. Truly a southern paradise waiting for you to enjoy!